After two weeks in first place, The LEGO Batman Movie was topped at the North American box office by newcomer Get Out, which earned an impressive $30.5 million from 2,891 theaters, an average of $10,976 per location. Directed by Jordan Peele, the latest Universal Pictures and Blumhouse Productions collaboration received an A- CinemaScore from audiences. 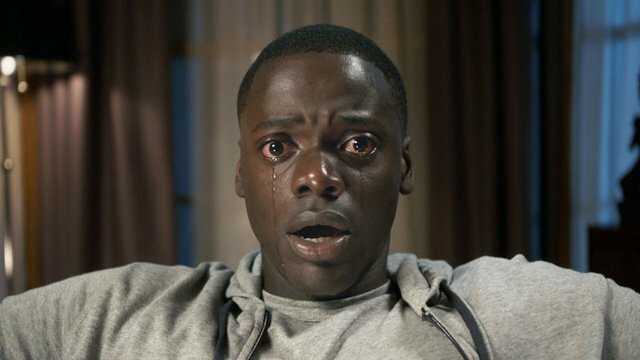 Get Out marks Blumhouse’s eighth film to open No. 1 at the North American box office, and its sixth film to open to more than $30 million. The film, starring Daniel Kaluuya, Allison Williams, Bradley Whitford, Caleb Landry Jones, and Catherine Keener, was made for just $4.5 million. Warner Bros. Pictures’ The LEGO Batman Movie added $19 million its third weekend in second place for a total of $133 million. Internationally, the film earned $12.9 million this weekend from 62 markets, to take its overseas total to $93 million and worldwide sum to $226 million. Made for $80 million, the Chris McKay-directed film features the voices of Will Arnett, Zach Galifianakis, Michael Cera, Rosario Dawson, and Ralph Fiennes. John Wick: Chapter 2 (Lionsgate) climbed a spot to third with $9 million for a three-week total of $74.4 million. The hit sequel grossed another $13.1 million from 79 international markets. The overseas total is now at $51.1 million and worldwide total at $125.5 million. The first film earned $43 million domestically and $45.7 million internationally, for a worldwide total of $88.8 million in 2014. The Chad Stahelski-directed sequel stars Keanu Reeves, Common, Laurence Fishburne, Riccardo Scamarcio, Ruby Rose, Lance Reddick, Bridget Moynahan, Franco Nero, John Leguizamo and Ian McShane. In its second weekend domestically, Universal’s The Great Wall earned $8.7 million in North America for a total of $34.4 million. Internationally, the Zhang Yimou-directed film has earned $256.6 million and worldwide is up to $300 million. Made for $150 million, The Great Wall stars Matt Damon, Jing Tian, Pedro Pascal, Willem Dafoe, Zhang Hanyu, Eddie Peng, Lu Han, Kenny Lin, Wang Junkai, Zheng Kai, Cheney Chen, Huang Xuan, and Andy Lau. Fifty Shades Darker (Universal) rounded out the top five domestically with $7.7 million and the film has now earned $103.6 million. From 59 overseas territories, the sequel added $19.8 million to push its total to $224.7 million and global total to $328.3 million. The first film, Fifty Shades of Grey, grossed $166.2 million domestically, $404.8 million internationally, and $571 million worldwide in 2015. Directed by James Foley, the $55 million adaptation of the E L James novel stars Jamie Dornan, Dakota Johnson, Bella Heathcote, Eric Johnson, Robinne Lee, Fay Masterson, Tyler Hoechlin, Hugh Dancy, Kim Basinger, Luke Grimes, Eloise Mumford, Max Martini, Rita Ora and Marcia Gay Harden. While Get Out dominated North America, moviegoers didn’t have much interested in the other newcomers, with the animated film Rock Dog earning just $3.7 million 2,077 theaters and action-thriller Collide bringing in only $1.5 million 2,045 theaters. The former cost $60 million to make, while the latter had a price tag of $21 million. The big story overseas was Resident Evil: The Final Chapter, which earned a massive $94.3 million in China this weekend. Made for $40 million, the film has earned just $26.5 million in North America, but the Screen Gems release has also grossed a total of $212 million overseas, for a worldwide total of $239 million. Maybe it won’t be the final chapter after all? Resident Evil: Retribution previously earned $240 million globally in 2012.